VPN Refers to Virtual Private Network that works on a public structure network and can be connected from anywhere in the world in order to gain access to resources on that network as local users (with secure passwords for data encryption). Normally, VPN is used in large organizations that have many branches and want to connect them together while only provide their services for people within the organizations including customers, suppliers and so on. Please see the installation guides from the following links regarding your Operating System. 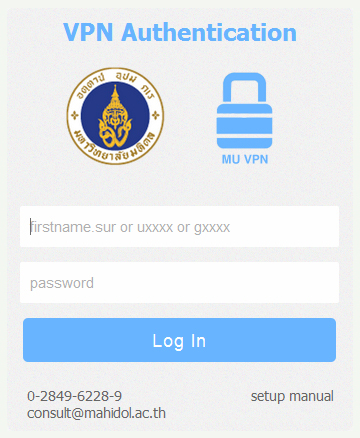 Copyright © 2009 Mahidol University. All rights reserved.